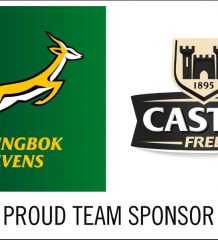 The Springbok Women’s Sevens team suffered defeats against Russia (24-14) and China (29-5) on Friday at the Rugby World Cup Sevens, played at AT&T Park in San Francisco, USA. The defeats ruled them out of Cup and Trophy contention respectively and the team will now contest the 13th place play-off against Mexico on Saturday. Kick-off is at 18h30 (SA time). Springbok Women’s Sevens coach Paul Delport said the defeats hurt, but he was positive about the extended opportunity to play on the big stage. “We really played well against Russia in our opening match, but against China we unfortunately did not deliver the same effort and commitment and I am not happy about that,” the coach explained. Delport had to do without the services of Zenay Jordaan in the China clash as the most experienced player in the side injured her ankle against Russia and was unfit to play. The Springbok Women’s Sevens team conceded 19 points before halftime against Russia and despite a strong second half, they could not close the gap. An early try by Russia’s Alenka Mihaltsova had the South Africans on their heels. A yellow card to Nadine Roos for not retreating fast enough following a penalty resulted in two more tries by the Russians in as many minutes – first by Daria Shestakova and then Daria Lushina exploited the numerical advantage just before the break. The second half saw a determined effort by Zinhle Mpupha and the team. A try by Jordaan just after the restart gave South Africa some confidence and when Babalwa Latsha crashed over for her first try in her debut match, it was game on (both were converted by Jordaan). South Africa attacked well, but spilt the ball and their opportunity was lost. It was Russia who scored the final points of the match when Mariia Perestiak dotted down. The same happened against China, when they also conceded two early tries which saw their opponents take a 12-0 lead at the break. The Chinese scored early in the second half and stretched the lead to 29-0 before Snenhlanhla Shozi scored a consolation try for the South Africans. v Russia – Tries: Zenay Jordaan, Babalwa Laksha. Conversions: Jordaan (2). v China – Try: Snenhlanhla Shozi.